At the close of its September 2018 meeting, the Federal Reserve raised the federal funds rate to 2.25%, a full percentage point higher than it was a year earlier. Federal Reserve Chair Jerome Powell appeared to change his stance on monetary policy, saying interest rates were “just below” a neutral level. Previously, he indicated rates were a “long way” from neutral. 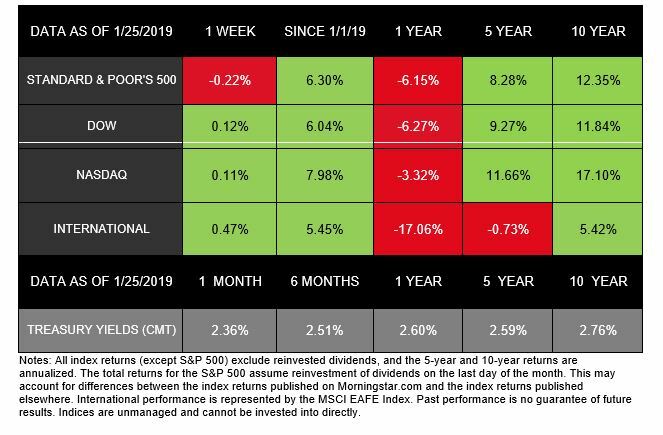 Last week, domestic markets had some of their worst performance in 10 years. The S&P 500 lost 7.05%, the Dow declined 6.87%, and the NASDAQ dropped 8.36%. 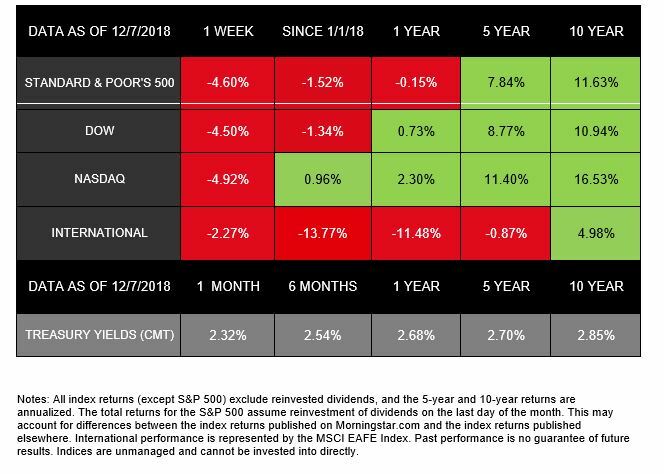 All three indexes have now lost at least 8% in 2018. On Friday, December 21, the NASDAQ entered a bear market, which means it’s at least 20% below its last record high. Meanwhile, the S&P 500 and Dow both finished the week close to bear markets, too. Internationally, stocks in the MSCI EAFE also struggled, posting a 2.67% weekly loss. However, markets hardly focused on the data. Instead, two key headlines drove the week’s performance: 1) results from the Fed’s latest meeting and 2) the risk of a government shutdown. Let’s look a bit more into what happened-and how the markets reacted. Markets expected the Fed’s 4th interest rate increase for the year. In many ways, traders were trying to read between the lines of every Fed announcement last week to see how sensitive the agency would be to the markets. As a result, investors became concerned about the Fed’s statements that increases could continue in 2019, despite seeing a slowdown in economic growth. This reaction caused some of the sell-offs. A government shutdown loomed-and then happened. 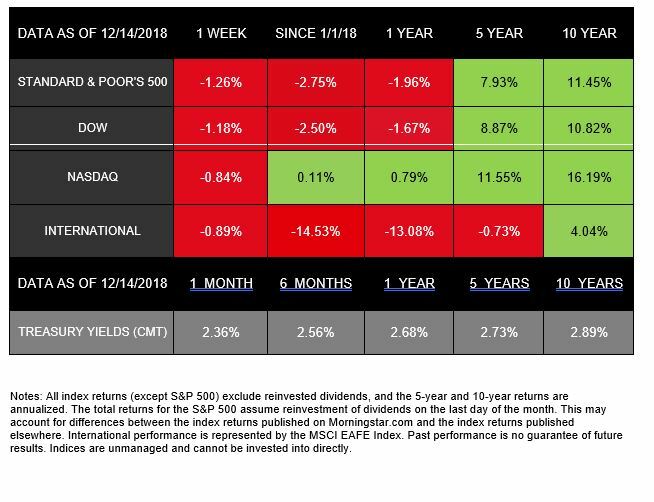 In the weeks ahead, the government shutdown may continue, and we may not experience the strong “Santa rally” that investors hoped for. However, it’s important to remember that, historically, shutdowns are short and don’t typically create negative long-term effects on the economy. Markets went for another wild ride last week, as major domestic indexes swung back and forth. 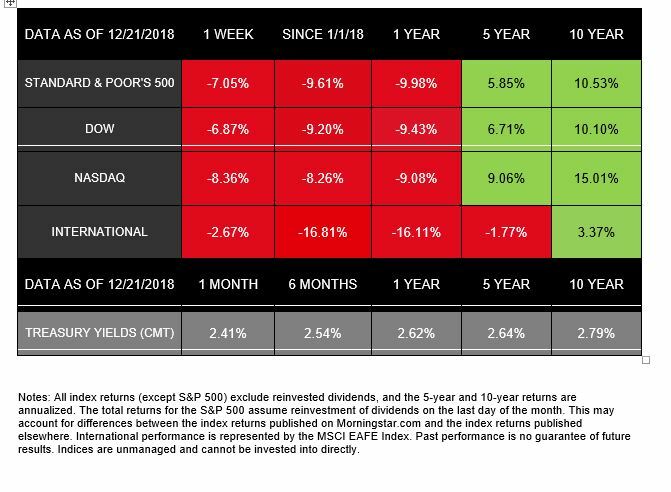 By Friday, December 7, markets had posted their worst weekly performance since March-and the S&P 500 and Dow both moved into negative territory for 2018.